Last night I was sitting outside on our back patio with my wife. The baby had gone to bed; we were enjoying a small campfire, talking about the day and watching the bats fly by overhead. At one point, I caught myself staring aimlessly at the flowers lining the backyard fence. It puzzled me how I was able to look at them, but not really comprehend them. What I mean is that I saw them with my eyes, but I felt a million miles away from them. I began to wonder, What is going on? Why do I feel so separated from my surroundings? Nature is so slow and peaceful; why can't I relax in it? Then it hit me, and I said to Lauren, "I have so many things going through my head. 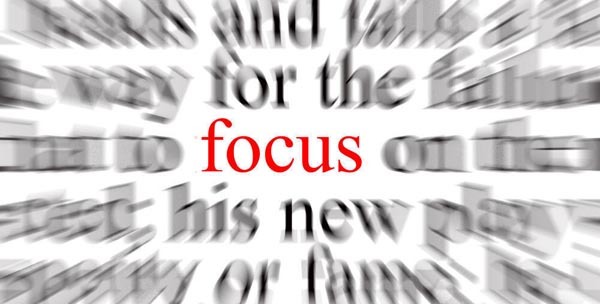 I am too preoccupied with my worries - my to do list - to give full attention to what is going on right in front of me. I am too focused on my own agenda that I am unable to relax." I think this is what Jesus means when He tells His sheep not to worry, but instead to seek His Kingdom. Jesus is saying, "You are too preoccupied with yourself. Instead, value Me above everything else - food, clothing, money. And when you have Me, and hold on to Me, you will have everything that you truly need. Remember that My Father knows that you need food, clothing, and money to live - and He will give it to you as long as you are living. Only, seek Me first." Let me offer this example to help understand this passage better: Yesterday was our first day of school, and I prepared my students for what was coming in the upcoming year in a presentation of rules, policies, agendas, and schedules. At the end of my presentation, in order to regroup our focus, I led my students in a discussion of what the purposes of school were and what the purposes of school were not. "Do you hang out with friends at school?" I nodded my head in agreement. "Yes, school is a place to hang out with friends, but it is not the focus or aim of school. The same goes with having fun. The founders of the modern school didn't decide, 'let's build a place where every child can have as much fun as they want'. Although fun does happen sometimes at school, that is not the main focus of school." I think this illustrates what Jesus is saying in Matthew 6. He is saying, "Focus on Me. I am the only purpose, the only fulfillment in life. Love Me. Enjoy Me. Seek Me. Sure, you will have food, clothing, and money - My Father knows you need those things. But don't seek them. They will be given to you, but if you focus on them, you will be consumed by them." That's the irony of what Jesus is saying. Think about a time you were really, really, really hungry. All you could think about was one thing: food. You didn't care about water, money (unless it could buy you food), clothes, or anything else. You were completely consumed with the focus of food. Oh weary Christian, how tired you must be, running a race aimed at things that do not satisfy and do not last. You are weary because you are running the wrong race. The race of the Christian is not to aim for possessions or things or fame; the race of the Christian is to gain Christ. Run to Him in your time, thoughts, and attitudes. Seek first His Kingdom and know that your Father will give you what you need as long as you need it. Oh weary, down-trodden Saint, your Savior loves you. Christ alone will satisfy your thirsty soul. Be not deceived by money; do not love anything greater than you love your Savior. But if you do (when you do), return to Him, for the One who purchased you while you were yet a rebel will most certainly welcome one of His redeemed children at any moment with open arms! And live alone to Thee" ("Be Thou Supreme, O Jesus Christ").